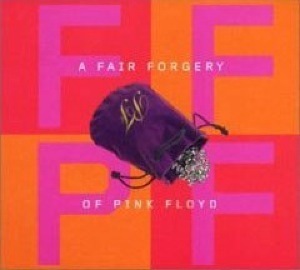 The Pink Floyd tribute album: Two disc set featuring tracks from Graham Parker, Quetzal, Mike Keneally, Tom Freund, Courtney Fairchild, Ira, 50 cent Haircut, Which One's Pink, Yortoise, Sally Semrad, Big Lee, Becca & Pierre, Tortfeasor and many, many more. Includes Shark's version of the Division Bell track High Hopes. Wild Colonials debut album recorded in Los Angeles at Sunset Sound and at Peter Gabriel's Real World Studios in Bath, England. 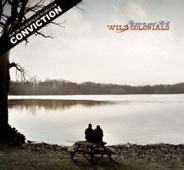 The Wild’s new single from the Hilary Swank/Sam Rockwell film CONVICTION (2010). The Wild’s second album. Recorded in Los Angeles at the House of Blues Studio and Zeitgeist Studios. Includes Coy, Wake Up Sad and the radio hit Charm. Produced by Tony Berg (X, Public Image Ltd.) and John Porter (The Smiths/Los Lonely Boys). Special guests include Jon Brion and Ricki Lee Jones. All iTunes and Amazon.com links are below. Also available on all major download services. The Wild’s fourth album will be released as four separate EP's. EP 1/4 Includes Love®, True (With You), Vicious Circle and the Wild's version of Donovan's Hurdy Gurdy Man. The exclusive track Girl (Live from The Troubadour) available only from iTunes. The Shark and Co. seasonal song, “Secret Santa” is available now! SECRET SANTA was written, performed and produced by Geoff Pearlman and Shark at Oyster House Studios in Los Angeles, CA. Available NOW on iTunes and from all major International streaming and download services. The song based soundtrack album from the Shark scored film Frozen Stars. Featuring tracks from Lysa Flores, Brother, Jaci Velasquez, Wendy Maharry, Angelina, Clear, Jamie Green, Heather Miller, Moonpools & Caterpillers and Crystal Lewis. Includes Love Theme from Frozen Stars by Shark. Music from the Sundance Film Festival hit Dead Man’s Curve AKA The Curve (US). Featuring tracks from the Wild Colonials’ tracks Shadows (Long version) and Wake Up Sad remixed by Frankie Blue and KCRW’s Jason Bentley. 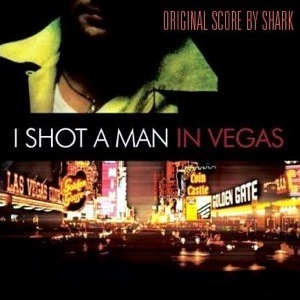 Also includes sixteen cues from Shark’s original score. Compact Disc only. No longer available digitally. The debut album from Anglo/British duo Big Bam Boo with Shark and Simon Tedd (Scardanelli). Produced by Richard Manwaring. Recorded in London. Finally available on iTunes and Limited Edition Mini LP Compact Disc. Includes Fell Off A Mountain, Shooting From My Heart, Dream Song and If You Could See Me Now. Shark teams up with Dead Rock West’s Cindy Wasserman for a Roots Country version of the Peter Gabriel/Kate Bush ’80’s classic Don’t Give Up. For Lyrics, video and additional International links please click on the sleeve at left. The brand new Shark and Co. single, “Dog Park” from the Motion Picture THE BANDIT HOUND is available now! DOG PARK was written, performed and produced by Shark and John Would at Stanley Recordings in Los Angeles, CA.